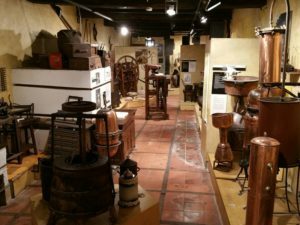 In this Centre of Food, Nutrition, and Gastronomy located in Ordizia, you can find out everything about the quality products from our gardens, and learn about their nutritional values, as well as the general aspects of food. 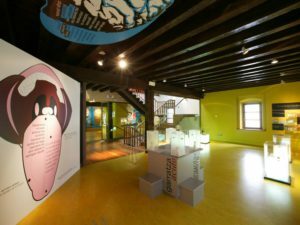 This surprising Tolosan museum opened its doors at the hands of the well-known Gorrotxategi family, master confectioners for several generations. Here you can discover all the secrets of the denomination of origin of this famous cheese. Located in Idiazabal, it includes a cheese tasting initiation course, noting its smell, colour and flavour. 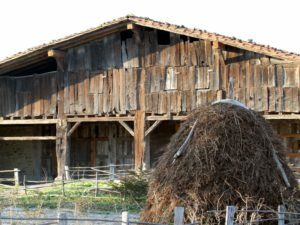 The mansion is a magnificent exponent of the Golden Age of the Basque homestead and of the wooden architecture of the sixteenth and seventeenth centuries. 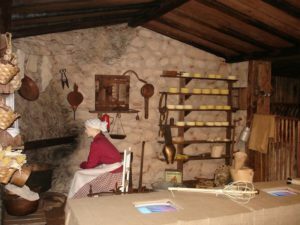 The sixteenth-century country houses were more than homes, they were work centres. You will find the Sanctuary of Loyola, the impressive baroque structure erected in the eighteenth century near the birthplace of St. Ignatius, with its basilica crowned by the cupola. Despite its small size, it has earned its fame for its mouse-shaped peninsula, grilled fish, and illustrious children: Juan Sebastian Elcano, the sailor who completed the first trip round the world. And the designer Cristobal Balenciaga, whose museum features a collection of his creations. 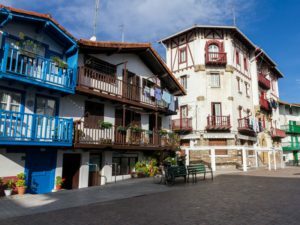 The historical centre of Hondarribia, besides being famous for its delicious pintxos, is declared a historical-artistic monument and its old town is a unique collection of palaces and emblazoned houses. 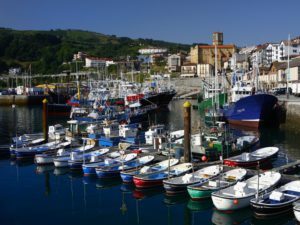 You cannot miss the fishing centre of Hondarribia, the colourful neighbourhood of La Marina. 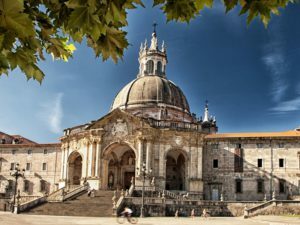 It has an incomparable historic centre, which features University of Sancti Spiritus, one of the most valuable works of the Renaissance in Gipuzkoa. 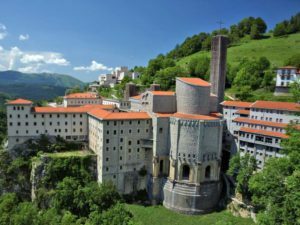 Ten kilometres away, you will find the Sanctuary of Arantzazu, where the best architects and artists of their time illuminated a milestone of avant-garde architecture in 1950. 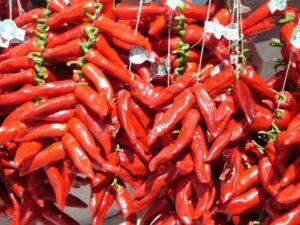 At the last weekend of October, there is an annual festival in Espelette, where the streets are dressed in intense red with endless strings of peppers. It celebrates the Ezpeleta pepper, a variety of pepper that is grown in the French Basque Country. 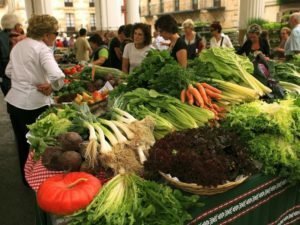 The Gernika market, which is held on Mondays, brings together about 100 producers from the region. Special fair: last Monday in October. 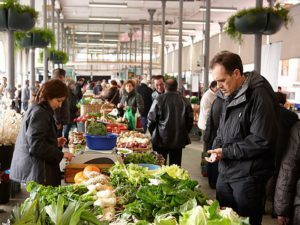 The Ordizia market, which is held on Wednesdays, is the most significant and its prices are a reference for the rest of the territory. Special fair: Basque Festivals (week of September 9th), where the best Idiazabal cheese of the year is auctioned. The Tolosa market held on Saturdays is a must. It is held in three spaces, emphasizing the Triangle. 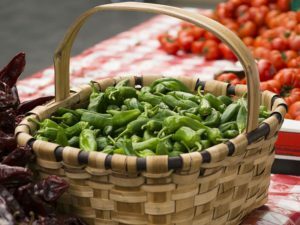 Special fairs: San Juan Fair, Tolosa Goxua, Bean Week, and the Rib Eye Steak Festival.